Multi-Surface Cleaner is recommended by/for Sunbrella®/Glen Raven, Inc.
For marine canvas, fabric convertible tops, awnings, indoor and outdoor furniture, carpet, and upholstery, this Multi-Surface Cleaner safely removes even the most difficult stains. It's also perfect to pre-clean canvas prior to re-treating with Fabric Guard. 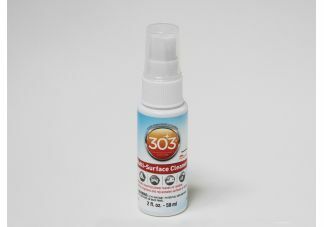 For spot cleaning, use full strength or diluted.